GDC 2019 is coming up soon and a Twitter user spotted an interesting tidbit on the GDC 2019 website: Microsoft is looking to bring Xbox Live functionality to mobile devices, the Nintendo Switch and more with a new cross-platform XDK. According to the tweet, the session titled Xbox Live: Growing & Engaging Your Gaming Community Across Platforms is being presented by Jeffry Shi, Principal Program Manager of Team Xbox at Microsoft, and Ramsey Khadder, a software engineer with the same team. While there are a few mobile Xbox Live games, they are few and far between. Microsoft no doubt led the charge with cross-platform play, starting with the Xbox One and select Microsoft Store PC games. A few developers followed suit, including Psyonix with Rocket League and Epic Games with Fortnite. While they tried to hold out, eventually Sony had to cave and allow cross-platform play with the PlayStation 4 as well. 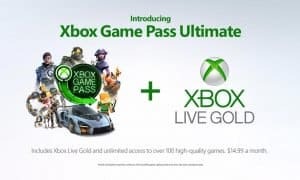 On that note, while cross-platform play exists for a number of games, it’s not usually tied directly into the Xbox Live platform. The takeaways from the GDC 2019 session hint at some of the possible integration that gamers could be seeing across devices. We won’t be attending GDC 2019 ourselves but we’ll be sure to keep an eye on anything that comes out of this session and report back at a later date. What do you think about the news that Microsoft is looking to expand Xbox Live across other devices? Let us know in the comments below or on Twitter, Facebook, or MeWe.